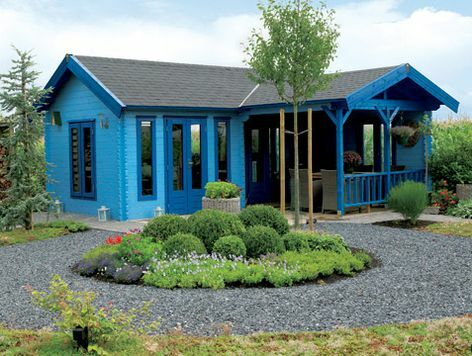 A very versatile log cabin with a large open sided built in veranda area. Inside, the cabin has two separate rooms and two sets of double doors. 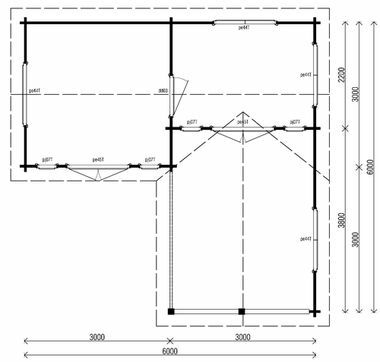 Size approximately 6m x 6m in 44mm log thickness. The standard package includes 4 casement windows PE44, 5 windows PJ07T, 2 double doors PE45H and 1 solid panelled door DD03H. Windows and doors are all double glazed. The built in veranda measures approx 3m x 3.8m.The Geneva includes an internal wall.